Today, since Jeff (Lori’s hubby aka Dollycas’s Thoughts) has had a week off and is well rested, I thought we would take another trip. And seeing that hubby and I will be going to the Caribbean soon, I thought that this week, it would be the perfect place to visit. We are going to Trinidad to visit today’s guest and get to know her a little bit better. I thought we could sit on the tropical beach, have our “gab session” with a couple of frozen drinks and maybe even get some reading in. Now doesn’t that sound relaxing? 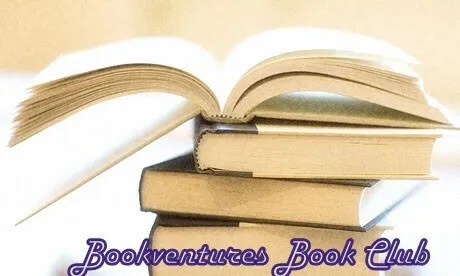 Today my guest is the very sweet LESLEY-ANN from BOOKVENTURES BOOK CLUB. I started blogging in February of 2010. I started off wanting to create a book club where I can read and share my experiences with others. While searching for the various formats of online Book Clubs, I came across Bermudiaonion’s Book blog and realized that there was such a thing called a book blog; where ordinary folks read and reviewed books while sharing their experiences with fellow readers. The ideals of a book blog matched well with what I wanted to do and pretty soon, I joined this great community of book bloggers. Bookventures actually comes from the name of a local bookstore close to the university that I attended. The store called Eventures Book Store specialized in used and traded books. You could have found almost anything in that store. Eventures became a staple for me during my final year at University. Whenever I became stressed out by my thesis project, I would go to the store and spend hours (and lots of money) checking out their books. When I was contemplating names for my blog, eventures kept popping up. I did not want to have something too similar to the actual name of the store so I decided to throw the word book in front of ventures and hence Bookventures was born. Sadly the store has since closed down but I am constantly reminded of it. I mostly review books that I have read or have been requested to review on my blog. However I do try to add a bit of my personality to it so sometimes you will tend to find random musings and pictures about my life. I also love participating in memes so there are a few of them that are posted throughout the course of the week. I read almost anything for the blog. I love Suspense, Mysteries and Thrillers so if I receive a pitch for a title in one of these genres and it looks interesting, then I would more than likely accept. Also due to my background in History I also read Historical Fiction. I tend to shy away from most Romance Novels because of how predictable they are sometimes. The community of bloggers, the ability to share with others, the impact that this sharing sometimes have, the fact that blogging gives me an escape when the real world gets too frustrating; as a book blogger, reading great books before anyone else has a chance too. What’s not to love about blogging? As a book blogger, the deadlines that are sometimes set (either by yourself or by the publishers or publicist). It turns the entire process of reading into a job and takes away from the fun of it. There is one major advice that I would like to share, one which I have been learning over the last few months; that is, No is a handy word. We sometimes get carried away when publishers, publicists and authors begin sending us review pitches without us having to send a request. While it is quite flattering, the deadlines and the huge reading piles are not so fun. I know that I certainly got carried away however what I have learned is that it is OK to say no once in a while. Trust me, the emails will still keep coming. I am usually drawn to blogs by the type of books that the blogger reads. I have developed a few friendships with some blogs and so there are a number of blogs that I visit regularly. 1 – I am a bit of a tech junkie. 3 – My favourite colour palette would be earth tones though recently I have been trying to incorporate more colour into my life. 4 – I am terrified by cats. I think this had to do with a horror that I saw on the Sci-Fi channel when I was younger. 6- I love the outdoors. Hiking and driving through the country side are just some of my favourite things to do. Thank you Lesley-Ann for being my guest today. I met Lesley-Ann, and since she is a lot younger than me, she may need to help me with this one, but I think it was because she was hosting an Author Chat on her blog with an author that I had recently finished reading their book, so I stopped by to leave a question and chat. Lesley-Ann and I then started visiting each other’s blog, leaving comments, which lead to some emails that then led into emails that resembled novellas. I truly believe that small pieces of one’s personality does shine through in their blog, emails, etc and I felt that with Lesley-Ann. Even though there is a big age difference, she is about the same age of my boys, conversation is never at a loss for words. We seem to be able to talk about anything and everything. And what personality shines through is her genuine caring, politeness, thoughtfulness, family oriented, protectiveness of her siblings, intelligence and respect, which in my eyes, truly makes her a Shining Star. If you already know her, then you know what I mean. And if this is the first time meeting her, then you will be meeting a very sweet young woman. Please visit her and say hi….I know eventually you will understand why she is a Shining Star. Hey Cheryl, this is such an honor. Thank you soo much. You have made my entire week! Oh my gosh, I'm so flattered that Lesley-Ann mentioned my blog!! lol, you're welcome Kathy. When I started blogging you were one of the first people to give me advice and guidance on how to run a book blog. I'll always remember that. Hi, Lesley-Ann! Nice to meet and get to know you! What a nice interview! It was nice getting to know Lesley better. I am heading over to check out her blog right now…. Another mystery/thriller fan? Yay! Nice to meet you Lesley-Ann. I'm heading over to your blog to check out your writings. Too bad that bookstore went out of business. Julie, Kaye its great to meet you both. Cheryl and Steve are so much fun to travel with and I have been busy relaxing on the beach but I hope you will all stop by Dollycas's Thoughts this Thursday so I can share with you how Cheryl had me laughing so hard last Thursday that there were tears in my eyes. Now I just got back from visiting Lesley-Ann's blog and became her newest follower. I think we have a lot more in common than our friend Cheryl. Like Kaye said another mystery /thriller fan!! YAY!!!! You can't go wrong with a good mystery. Now where is Steve with that margarita? He and Jeff have disappeared again. Bet they are girl watching down the beach and left me here dying of thirst!!! Congratulations Lesley Ann! This was a very interesting interview. I'm heading over to her blog right now. Thank you sincerely for visiting my blog and Cheryl for this amazing experience. I hope everyone has a wonderful week. Hi Lesley-Ann! I am going right over to visit your blog! Sunday’s Shining Star Happy Easter! !